The historic centre of Krakow, the former capital of Poland, is situated at the foot of the Royal Wawel Castle. The 13th-century merchants' town has Europe's largest market square and numerous historical houses, palaces and churches. Situated just outside the centre the Hotel comprises of 205 guest rooms, 24 Junior & Superior Suites and 1 Presidential suite. The hotel has two restaurants, and a generous lobby & lobby grab'n'go area. 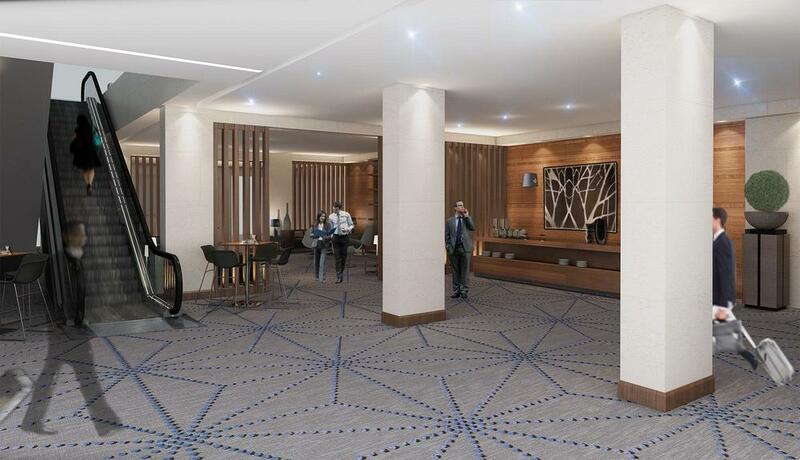 The Hotel accommodates up to 2,000 delegates, with 16 meeting rooms and meeting facilities, totaling 3,000 sq. meters. The 1000 sq. metre ballroom, the largest in Poland is ideal for conferences, product launches, cocktail receptions, sports galas, live broadcasts and fairs. 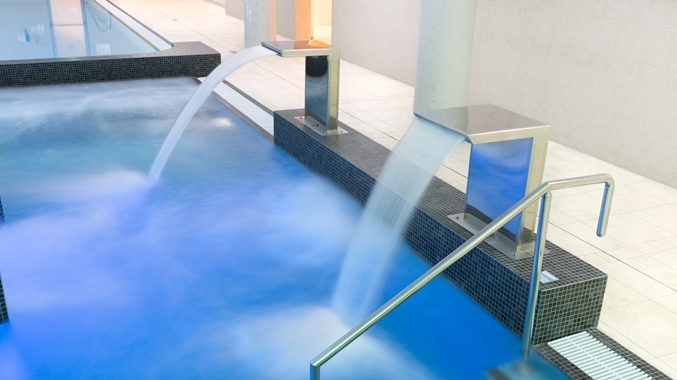 The hotel also has a 20 metre indoor pool, gymnasium and spa with six treatments rooms. The lobby is defined by a neutral palette which establishes the general relaxed ambiance of the interior space, a dash of colour is added with upholstery elements, inspired by "Wycinanki“, or the folk art of 'paper-cut design'. It is believed this art goes back to the time when few farm houses had glass windows. To keep out the elements, peasant farmers hung sheep skins over the window openings. Then, to let in some light and air, they took their sheep shears and snipped small openings in the skins, and these were soon recognized as decorative as well as functional. Not only did technique inspire us with colour but also the action of paper cutting and forming intricate cuts within surfaces was be explored for surface design. Individual pod style desks allow the staff access directly to the guest, and allow for a greater sense of welcome and arrival. Finishes are in wood, marble, Corian and glass. To the rear of the reception desks is added a triptyque a key artistic piece using local imagery to reinforce a sense of place and location to the guest. The 3 meal restaurant caters for up to 180 people just off the main lobby have warm natural finishes. The bar area features a snug with a fireplace and generous seating for relaxing and perhaps working in a warm comfortable ambiance. 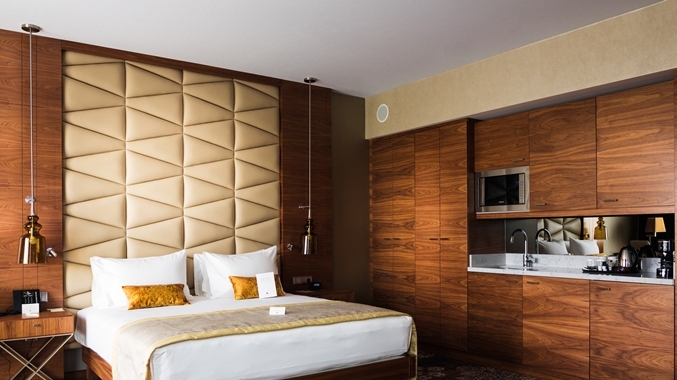 The guest rooms have a generous and calming styling, with plenty of natural walnut and soft ambient lighting custom designed by THDP and made by Contardi. The carpets are inspired by the local hand craft of "Wycinanki“ and supplied by Brintons Carpets. The hotel has 16 meeting rooms and a generous breakout space and is situated on the -01 floor served by escalators from the lobby. The lighting of the ceilings is generally through a section of Barrisol stretch ceilng offering a gentle ambient lighting effect. Walnut veneer and upholstered acoustic paneled walls act as decorative elements in the boardrooms.